In the 1870s, Colonel James W. Kidd Sr. purchased 200 acres of farmland adjacent to the current Kidd Springs Lake. At the turn of the 20th century, this natural spring was the site of "an elite country club" and was "the social center of Oak Cliff." 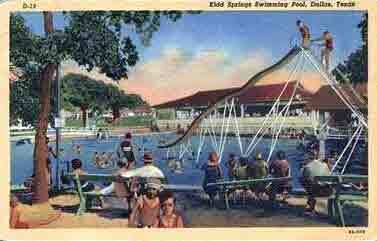 Today, it is the site of Kidd Springs Park and Recreation Center, which is open to the public and features a small lake, oriental and butterfly gardens, swimming pool, tennis courts and a baseball diamond. Photo courtsey of the James O. LeBeau family. 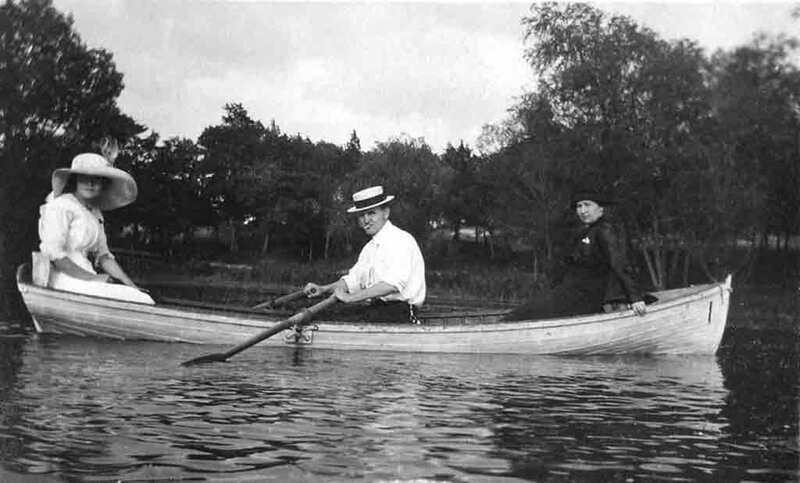 John F. Zang, the furniture czar and entrepreneur, who along with Charles Mangold, built Lake Cliff into an entertainment complex in 1906, begain his own addition in 1905. Called Crystal Hill, it was located in the eastern part of Kidd Springs. The name was derived from the deposits of silica sand found in the area. Meant to be an affluent development, sales were slow, forcing Zang to sub-divide the land and sell to other builders during WWI. Photo courtsey of Old Oak Cliff Conservation League. 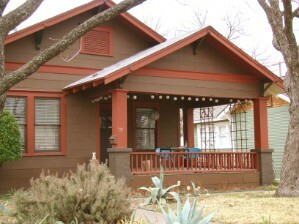 Development began after the annexing of Oak Cliff by the City of Dallas in 1903. 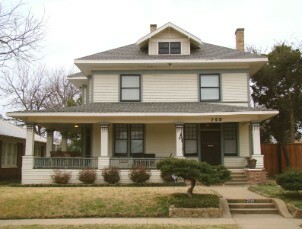 Leslie A. Stemmons and Thomas S. Miller, Jr. developed what became the Miller Stemmons Addition, which is now listed on the National Register of Historic Neighborhoods. Located at the center of Kidd Springs, it contains more than 200 historically significant structures built from 1910 onward. While not immune to the deterioration that affected many old neighborhoods after WWII, the neighborhood has saved a majority of its housing stock. 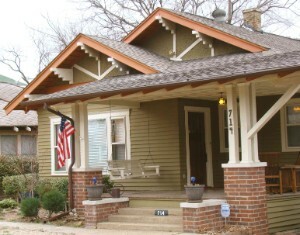 From large Neo-Classical, Prairie, Craftsman and Colonial Revival to one-story late Victorian, bungalow, Tudor and shingle structures, Kidd Springs offers architectural diversity. 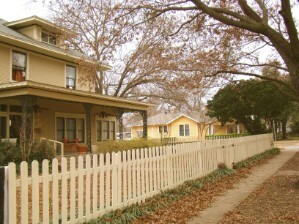 Some of the antique apartment complexes have been beautifully restored, attracting young professionals who enjoy the convenient location close to downtown, good public transporation, and retail establishments such as those that are within the Bishop Arts District located along the southern border of the neighborhood.